Am pretty sure most of you are currently flexing the Etisalat unlimited free browsing cheat with office VPN, for those who aren't, you are really missing out. Although some people actually complaining of slow speed, others says it's very fast. I guess it's all about the server, location and also luck. If you are currently using the Etisalat office VPN free browsing tweak, then you probably know by now that the tweak only works on a few selected Apps. In this post, I will be showing you guys how to download movies from show box using this tweak. The procedure is very simple and straightforward. You can read the full procedure on how to configure the office VPN Here or follow the instructions below. >> Make sure you don't have any airtime on your 9mobile sim or it might be zapped. 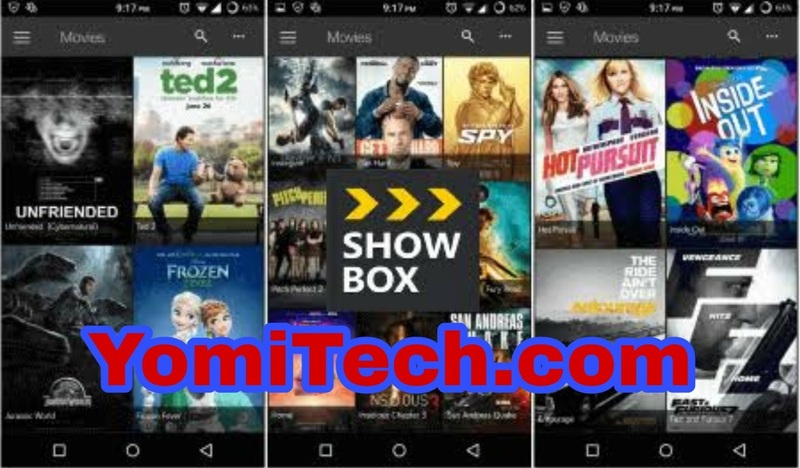 >> Download and install latest Showbox app from this LINK. >> Open office VPN and connect. >> You can leave the app proxy under proxy settings off, but if you must turn it on , then make sure you click on the "+" icon to add Showbox to the list. Just launch your Showbox app and start downloading your favorite movies free. Note: If the VPN stops connecting, just tap on "Get more time" to reconnect. Also, the "key" at the top of your phone status bar shows the VPN has connected successfully. Although I will be uploading the already patched version of office VPN that will let you use the app for a longer time without disconnecting soon, So stay tuned guys. If you have any question, feel free to drop it in the comment section below and also don't forget to kindly share this post on your various social media platforms. Only Glo does that .